This supermarket on Highway 50 E. was an institution for decades. I think it was built in the 1970s, and first operated under the name Warehouse Market. 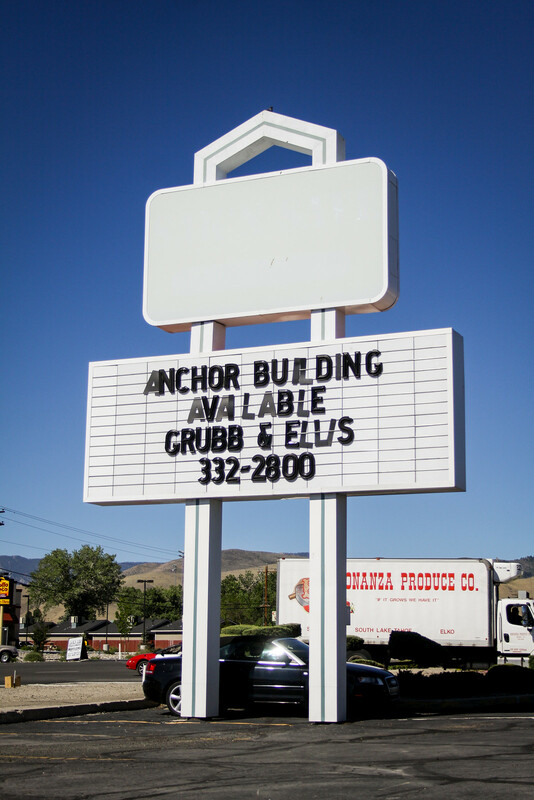 It was part of a chain in Reno, Sparks and Carson City. 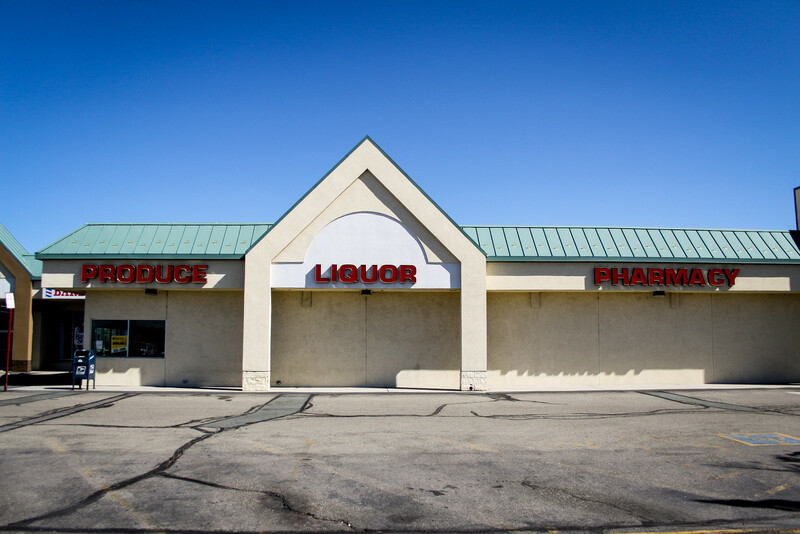 It had competition from the Lucky’s Supermarket that was right across the street, but that closed in the 1990s (now a freeway sits on top of it). That left this market all by itself. In the 1980s the whole Warehouse Market chain was bought by a couple of brothers from California named Scolari. They changed the name of all the stores to Scolari’s Food and Drug and doubled down on trying to make this store the best supermarket in Carson City. 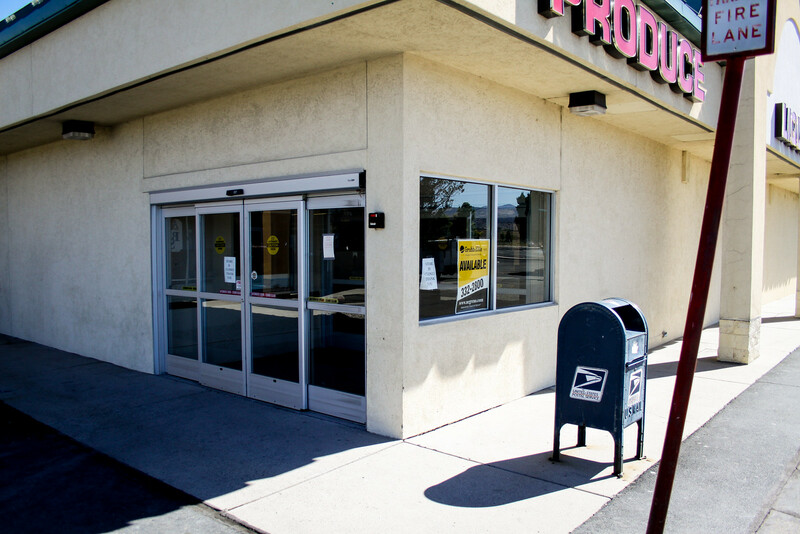 Originally there had been two Warehouse Markets in Carson City; the other was on North Carson Street in the Northgate shopping center. I’m not completely sure of the timeline, so I don’t know if that one ever changed to a Scolari’s or if it closed while still a WM. Eventually there was just the one Scolari’s in Carson City, this one out on Hwy 50 E.
Scolari’s had a good run in Carson City. Competition came, in the form of a Smith’s near Mills Park and an Albertson’s at Airport Road, in addition to the Lucky’s right next door. 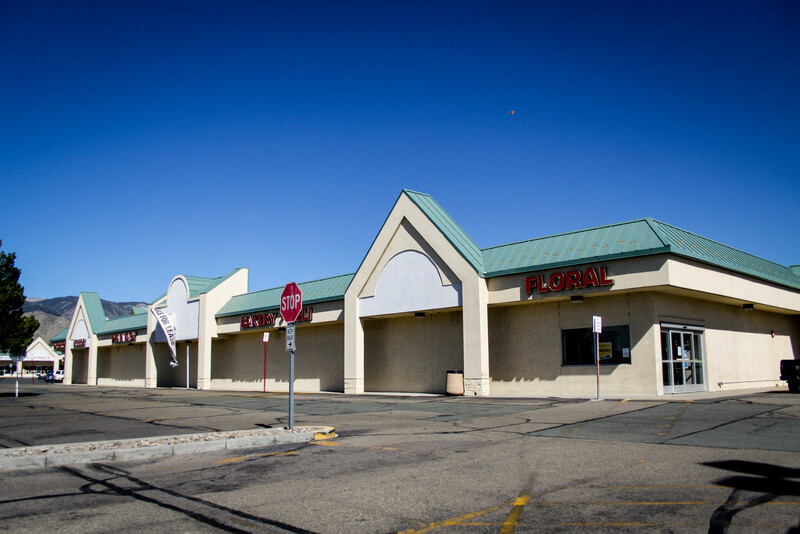 Other major supermarkets opened in Carson City, like a Super Kmart and a Super Walmart. They were all able to coexist, but as the new millennium wore on, the business at the Carson City Scolari’s was not what the company hoped. In 2008, the company changed the name of the store from Scolari’s to Sak ‘N Save. 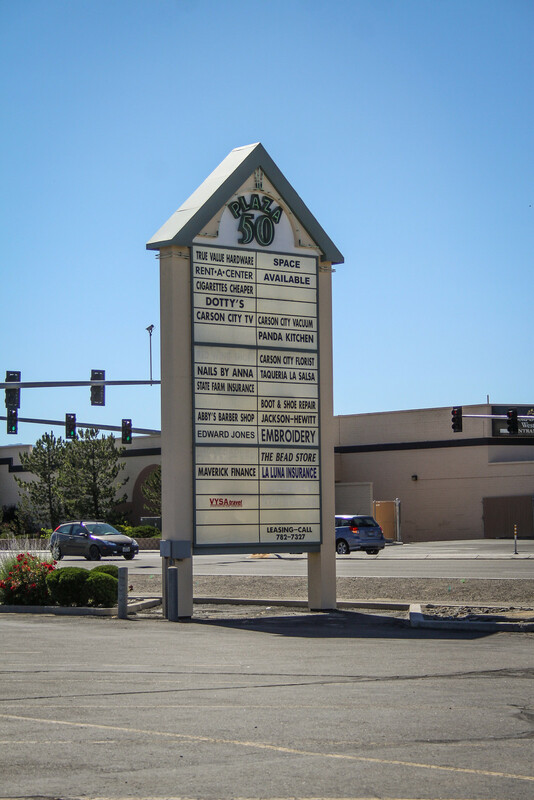 The ownership didn’t change hands, but the name change was part of an effort by the company to focus on lower prices (and lower quality) to boost the sales figures at the Carson City location. 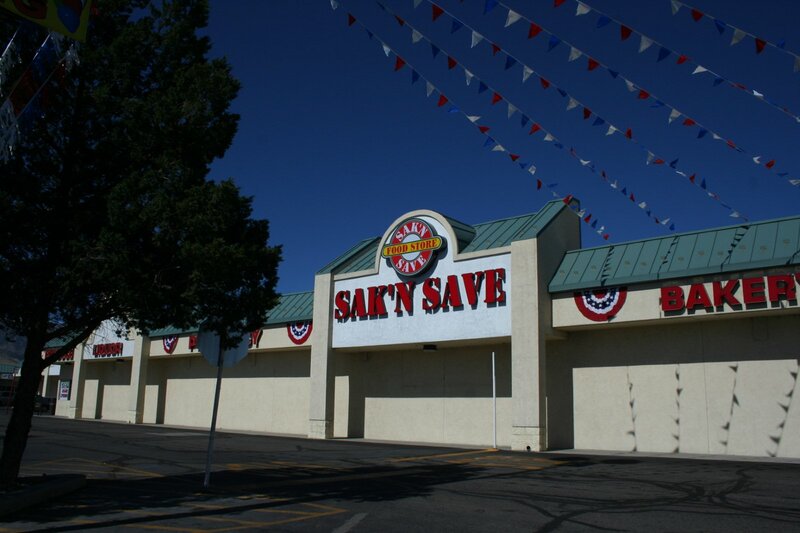 Sak ‘N Save was a name that they used at a couple of their stores in Reno and Sparks that were located in poorer neighborhoods and aimed at a lower class of clientele. They made the decision that that was the kind of customer base they wanted to chase in Carson City. A quote given by a company representative at the time said they were changing to a “box store” so they could offer “cheaper and more ethnically diverse food.” I think I’ll let you decipher that for yourself. 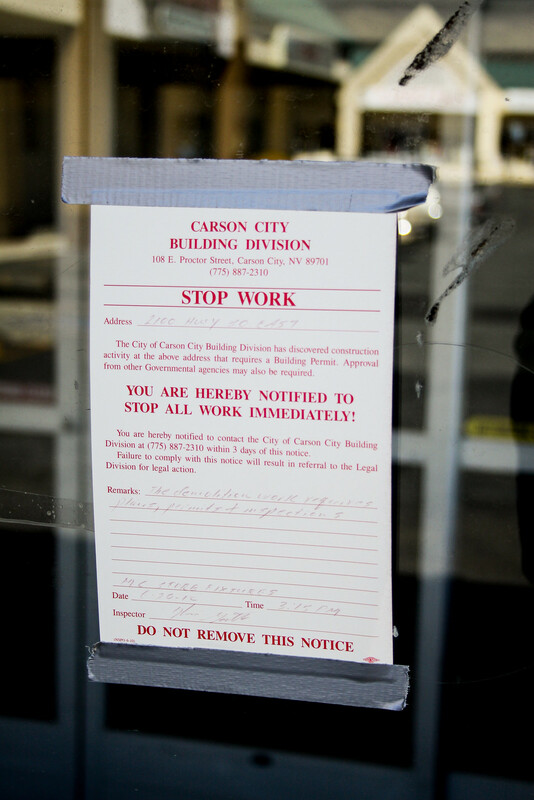 The company saw Carson City as having a lower class of customers and wanted to provide them with a lower class of product, without damaging the Scolari’s name. 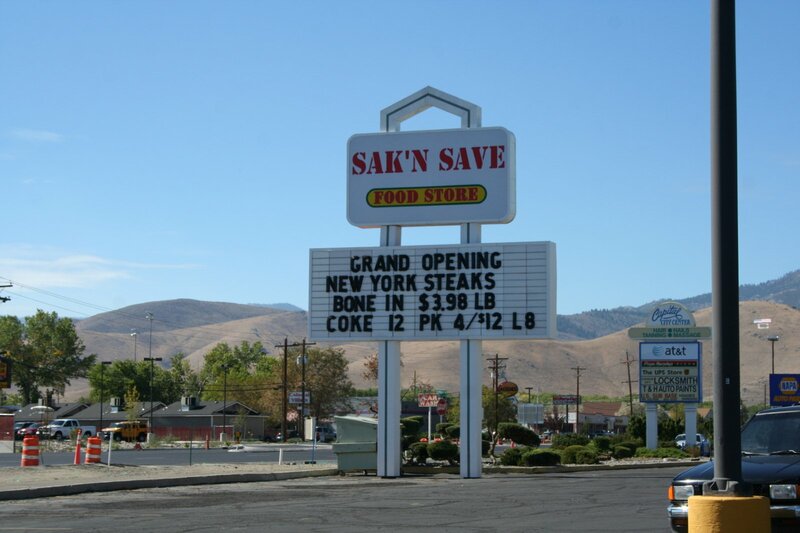 So the Carson City store became a Sak ‘N Save. Changing to a “box store” didn’t provide the shot in the arm that the company expected. The newly-renamed store limped along for another year and a half after that. Many people, like me, were put off by the name change and the new direction. Not that I ever went to Scolari’s very often anyway, but I think I only went into it once after it became Sak ‘N Save, and only out of curiosity. 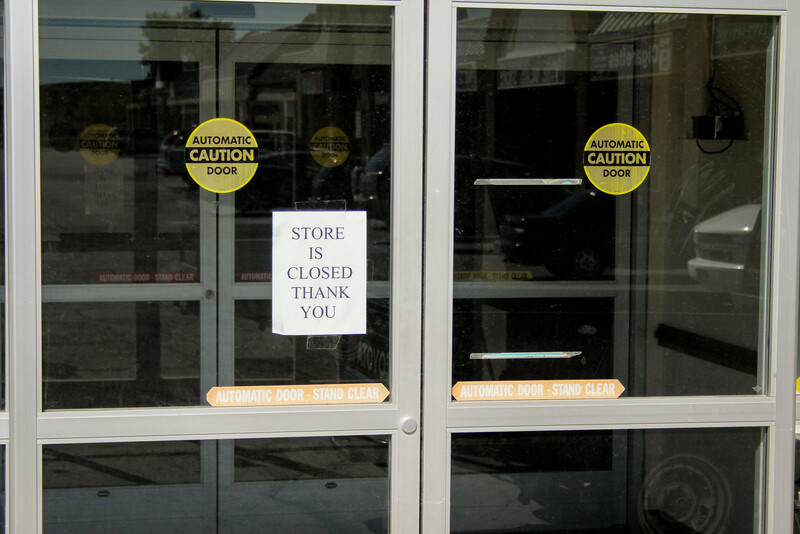 In May, 2010, the company announced that the rebranding was a failure (they didn’t use those exact words) and closed the store. Now it sits empty, and the shopping center that it used to anchor is limping along. I remember when this was a vibrant part of town. There even used to be a movie theater next to the Scolari’s, if any of you can remember back that far. 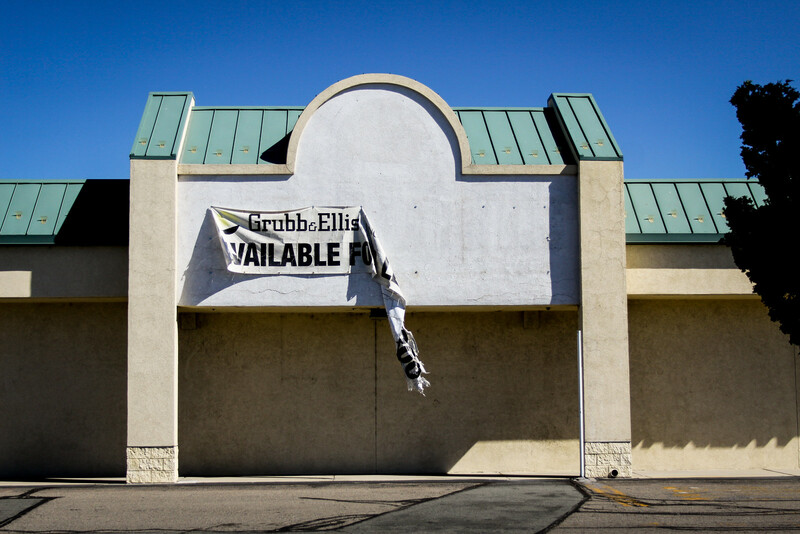 Now the shopping center is holding on, barely, kept alive by a few specialty stores and restaurants that still bring the customers in. Without an anchor store, though, there is a big gaping hole in the middle, and that damages the whole center. 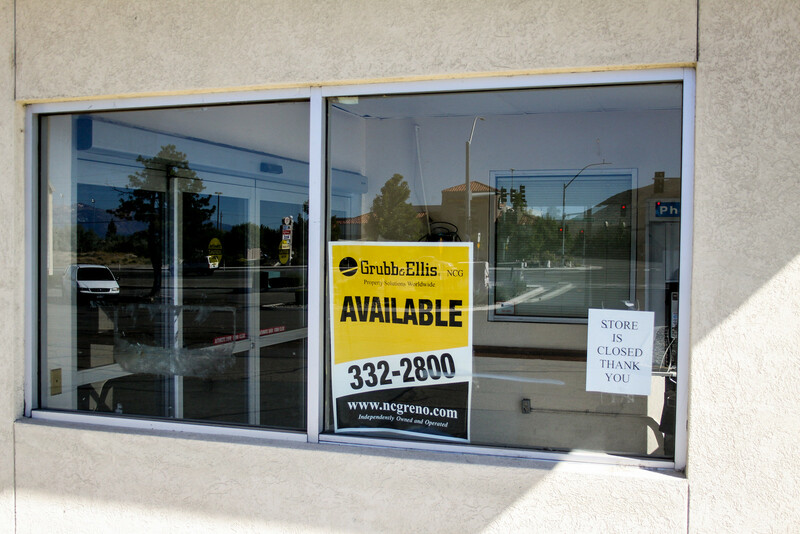 The real estate company that manages the center hopes that they can find another tenant, but it has now been two years since Sak ‘N Save closed and I don’t think they’re any closer to finding anyone. I hope that this store doesn’t turn into a perennial ghost like SuperK, but there is a chance it might if nobody is willing to take a chance on it. 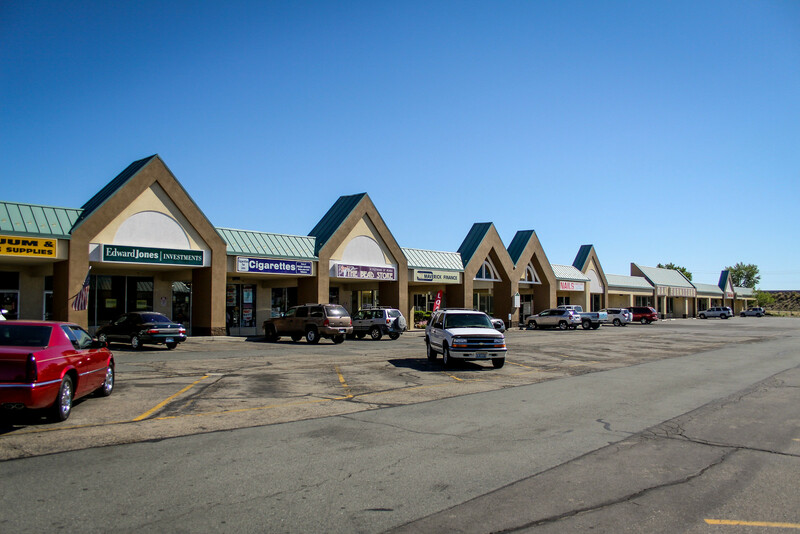 If you have any memories of Scolari’s, Warehouse Market, or even Sak ‘N Save, be sure to share them in the comments below! Back when it was Warehouse Market in the 70s we did all our grocery shopping there. I remember going to church on Sunday morning then hitting the donut shop that was attached to Warehouse, having breakfast, then doing our grocery shopping. It was a great store in my memories. If I remember correctly, when you entered the store there was also a barber and maybe a sewing machine repair shop? Or a locksmith? I also remember going to the movies next door throughout my younger adulthood, especially after it turned into a dollar movie theater. After the final closure a group was interested in the movie theater. From what the property managers told us it was situated in the middle of the physical structure. The theater had ‘raked seating which was impossible to remove and thus discouraged any further interest. Additionally, providing access to the center of the structure(theater)was quite difficult.This idea was based on another major anchor store taking over the facility which remains to be seen as to its future use. Hi Scott, great story, BJ’Z Photo was also located where the freeway is now on Hwy 50..BJ’Z was owned by real estate expert Brad Bonkowski, who is a now a Board of Supervisors candidate.